A Murrieta man was arrested on a charge of threatening a police agency in a dispute over a city code enforcement, police said. 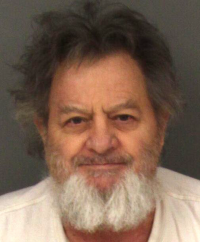 Norman Borts, 72, was taken into custody on Thursday and Murrieta Police officers serving search warrants seized seven firearms at his residence in the 41000 block of Mountain Pride and a family members' home in he 38000 block of Calle De Amor. The incident began June 28, according to a police news release. Borts called the police department saying he was upset with several notices he had received from Murrieta Code Enforcement regarding the status of his property. During the phone conversation with the police dispatcher, Borts made threats toward the code enforcement officer and police officers, stating in part, "I will shoot anyone who steps on my property." A criminal threats report was filed and the case was referred to the detective bureau, leading up to Thursday's conclusion. Borts was booked at Southwest Detention Center.